Samsung is a global leader in enterprise mobility and information technology. Samsung provides enterprise products and services that help customers realize the promise of digital business. Its flagship company, Samsung Electronics, leads the global market in high-tech electronics manufacturing and digital media, and recently their recent acquisition of Harman further strengthens their brand. As the world’s largest and most trusted AV integrator, AVI-SPL partners with innovative display manufacturers—like Samsung—to give you access to the best audio and video solutions in the industry. Samsung video displays are used for signage, presentations, and a video wall. Because MidMichigan wanted Wi-Fi capability and the ability to use smart phone apps, the simulation center requires entirely on Samsung, which is a leader in those areas. 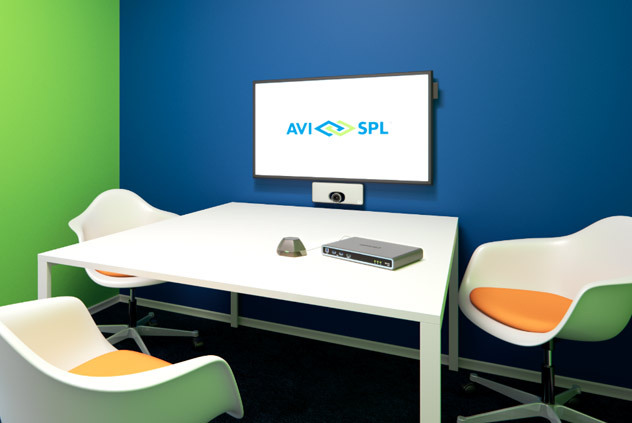 AVI-SPL and Samsung work together to transform ideas into great customer experiences. Samsung’s best-in-class picture quality and durability elevates the conventional viewing experience, helping businesses deliver content that engages, informs, and entertains. Shaped by over 70 years of innovation, Samsung solutions help companies maximize return on investment, improve communications and productivity, standardize technology, and redefine guest experiences. Samsung Flip: 55” UHD Interactive Digital Flip Chart. Meet anywhere. Capture anything. Simplify everything. The Samsung Flip simplifies and fast tracks everything. QBH /QBH-N Series: Cisco Certified for use with Cisco Room Kit and Room Kit Plus. The QBH Series combines state-of-the-art graphic performance and operational versatility with UHD picture quality to produce an unprecedented visual experience in any environment. QMN Series: Cisco Certified for use with Cisco Room Kit and Room Kit Plus. The QMN series is Ideal for any indoor venue, whether in a retail, corporate, hospitality or public setting. UH55F-E, UM55H-E, UH46N-E and UM46N-E Extreme Narrow Bezel LCD Video Walls: Create immersive, virtually seamless video walls thanks to the extreme narrow bezels premium video wall displays. Direct View LED: Samsung’s IF Series delivers an optimal LED experience. The IF Series combines market-leading video processing tools with High Dynamic Range (HDR) picture refinement technology, to maximize brightness and fine-tune overall picture presentation. Transform your office and workspaces with dynamic digital displays. Grab the attention of your customers and employees with display technology that fits your needs.